In a world where big data is the norm and near-real-time decisions are crucial, machine learning (ML) is a critical component of the data workflow. Machine learning systems can quickly crunch massive amounts of information to offer insights and make decisions in a way that matches or even surpasses human cognitive abilities. These systems use sophisticated computational and statistical tools to build models that can recognize and visualize patterns, predict outcomes, forecast values, and make recommendations. 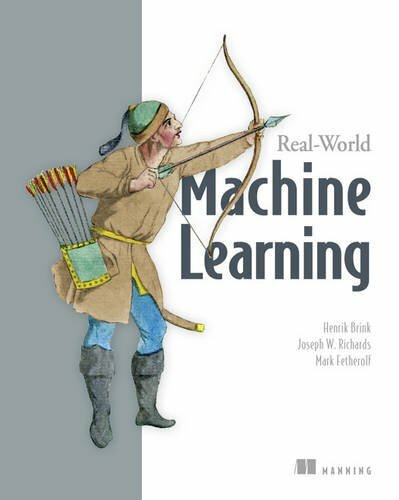 Real-World Machine Learning is a practical guide designed to teach developers the art of ML project execution. The book introduces the day-to-day practice of machine learning and prepares readers to successfully build and deploy powerful ML systems. Using the Python language and the R statistical package, it starts with core concepts like data acquisition and modeling, classification, and regression. Then it moves through the most important ML tasks, like model validation, optimization and feature engineering. It uses real-world examples that help readers anticipate and overcome common pitfalls. Along the way, they will discover scalable and online algorithms for large and streaming data sets. Advanced readers will appreciate the in-depth discussion of enhanced ML systems through advanced data exploration and pre-processing methods.